Credit: Wikimedia/Chris Reynolds. Creative Commons Attribution-ShareAlike 2.0 license. “Tensions between reform and transformation are hardwired into the NGO community and look set to continue, unless or until some large scale shock arrives to force through more fundamental changes—like the end of foreign aid, or the removal of public credibility in the wake of some massive scandal, or a blanket ejection of foreign organizations by Southern governments. 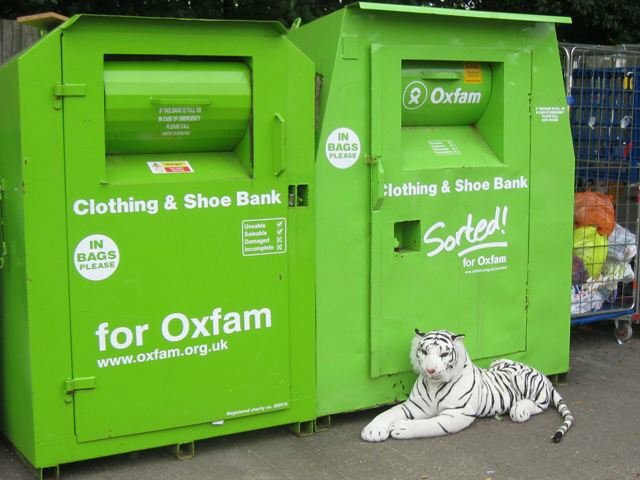 But those prospects seem remote.” What’s to be done with Oxfam? August 1 2016. Well, ‘be careful what you wish for.’ Eighteen months after I wrote these words that “scandal” has come to pass, though exactly how “massive” it is a matter for debate. As allegations of sexual abuse and exploitation by a small number of Oxfam staff in Haiti, South Sudan and Chad, and in some of its shops in the UK have exploded around the charity’s head, there have been many forceful and legitimate demands to tighten up procedures, make reparations and strengthen accountability so that such instances are prevented wherever possible and dealt with decisively when they do happen. ‘Case closed,’ you might say. Except that critics have used this opportunity to castigate Oxfam, NGOs and foreign aid in much more general terms. What has occurred proves that charities are corrupt and incompetent, they say, that they have no ethics or moral value, and that aid should therefore be abolished. Even friendlier critics like Larry Elliot, Suzanne Moore and Deborah Doane (all writing in the Guardian) have accused Oxfam of abandoning its moral core, practicing colonialism and becoming little more than an international business. Only one head has rolled thus far in this fiasco, but would you or I have done any better under such enormous pressures? Speaking as an ex-Oxfam manager, I’m not sure I would. And in any case, isn’t it a bit gratuitous to use the pain and trauma of all those involved as a hook on which to hang a lecture about the politics of the international system, or to mount generalized attacks that are largely spurious? Hence, it is not gratuitous to link yesterday’s horrific school shooting in Florida to the need for gun control across the USA. Specific cases call for a generalized response, not just improved security in one school. In the same way, putting measures in place to curb sexual abuse in one agency or country requires us to look more deeply into the inequalities that lie at the root of the problem, and to address them in a general framework. Although that may sound unlikely in the heat of the current moment, its results could be revolutionary. We may finally get a healthy, ethical and equal-minded movement for international cooperation to confront global problems.